Python is a programming language frequently used by scientists and data analysts to build applications. Why? Because it’s easy to use and has few rules. But simply installing Python isn’t enough—you also need a good interactive development environment (IDE) to program in. So what are the best Python IDEs for data science? Let’s find out! 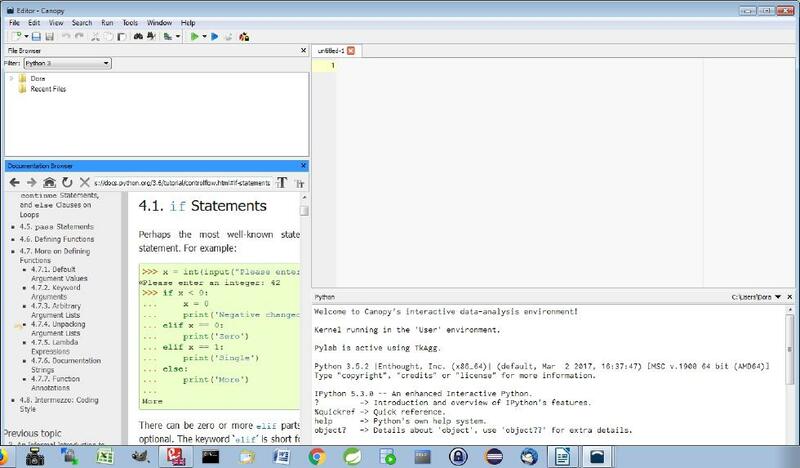 Enthought Canopy is one of the best Python IDEs for scientists and engineers. Canopy comes with integrated tools that you can use for iterative data analysis, data visualization, and application development. You can choose between the free or commercial license. Currently, Canopy ships with more than 450 Python packages for data science. It also provides a graphical package manager to easily search, install, update, and remove packages from the user environment. Combine code, text, and images. Integrated data science libraries (matplotlib, NumPy, Pandas). 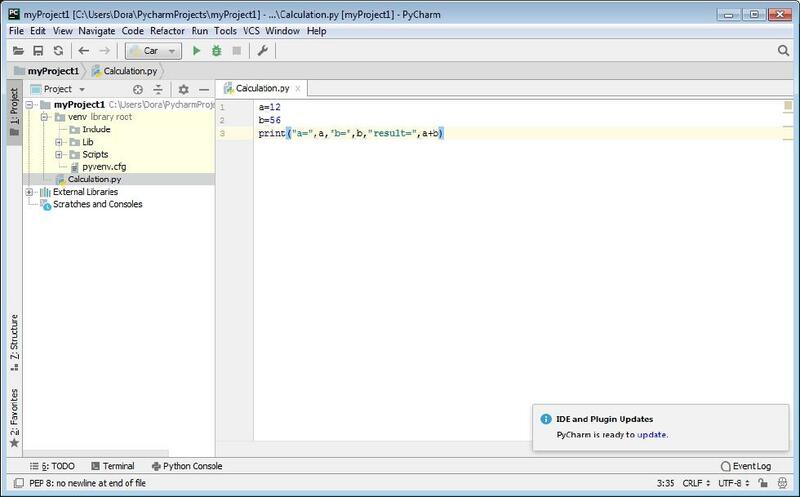 PyCharm is a professional Python IDE with tons of features. It comes in both the free Community and paid Professional editions. Integrated tools for unit testing, code inspection, version control, refactoring, and navigation. Support for libraries like scikit-learn, matplotlib, NumPy, and pandas. Ability to plot, manage, and explore graphs in real time. Support for database languages like SQL (via plugins). 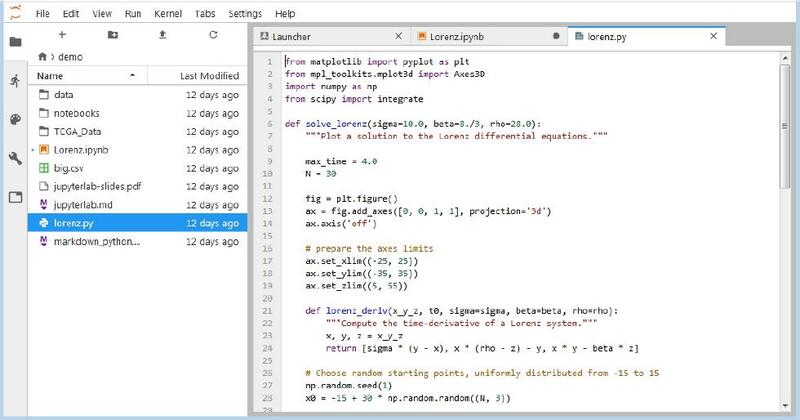 Rodeo is a Python IDE mainly for data science and machine learning projects. This IDE helps you explore and interact with data and plots. 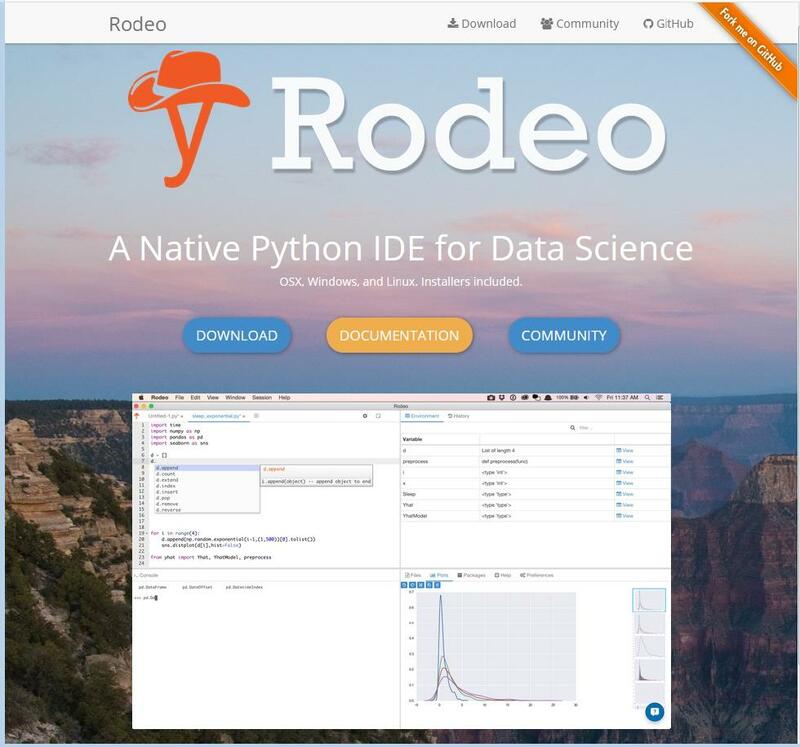 In terms of its user interface, Rodeo is much like the RStudio IDE for the R programming language. Support for Vim and Emacs text editors (cross platform). Integrated tutorials for Python beginners. Environment pane for keeping track of variables and functions. Data pane for managing files, photos, packages, and settings. 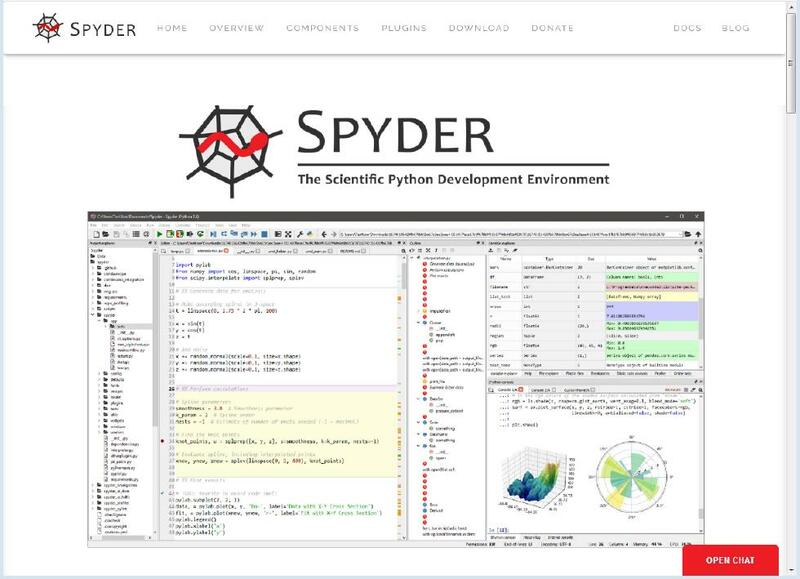 Spyder is an open-source Python IDE designed for scientists, engineers, and analysts. The name stands for Scientific PYthon Development EnviRonment. Support for libraries like NumPy, SciPy, Matplotlib, and others. Interactive console for building and testing applications. Auto-completion, syntax highlighting, and resource management. If you need more functionality, you can extend Spyder with open-source plugins like spyder-notebook, spyder-terminal, spyder-unittests, and spyder-reports. IDEs save precious time in writing applications and allow you to correct common errors in code, debug your programs, and develop large projects. Looking to get your hands dirty with Python? Check out our Introduction to Python for Data Science course to get started!